Mamas & Papas Kuwait, last updated on 2 Febraury 2017 , is listed under Baby & Kids Stores category. It was added to Kuwait Directory Rinnoo.net on 14 January 2017 . 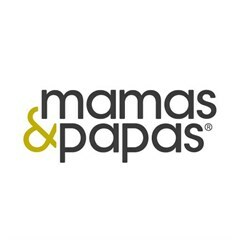 Pages of Mamas & Papas Kuwait on Rinnoo.net have achieved 17,140 views till now. 30 years ago, when David & Luisa started a family, they decided that the best out there wasn't good enough and Mamas & Papas was born. David and Luisa believe that it is important to give children the best start in life, and they have held onto that thought throughout Mamas & Papas’ growth. Their daughters Amanda & Olivia have gone on to have families of their own and are now shaping the business based on their own experience as parents. So you could say that our products are designed by parents for parents. The family continues to expand as we open new stores in new markets across the GCC, all reflecting the core values of the brand that make Mamas & Papas so special.